The Caligula Effect: Overdose [NIS America] – Ouch That Hertz! At first glance, one might think that The Caligula Effect: Overdose is in some form or fashion linked to the Persona franchise due to the latter’s immense popularity in Japan and similarities in story and character models. 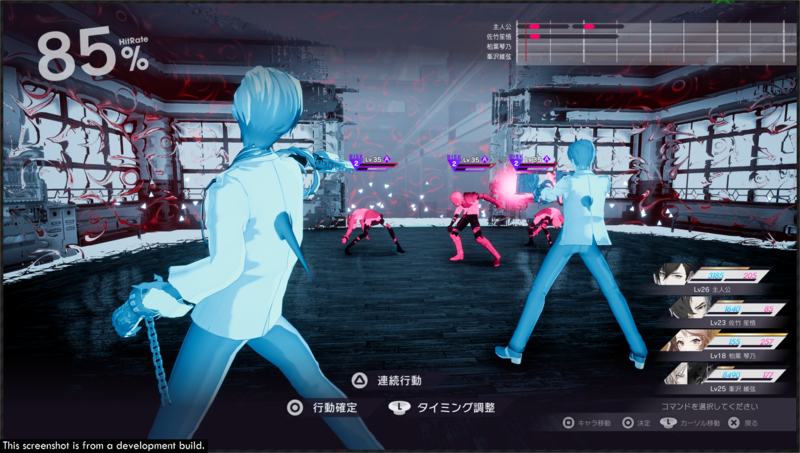 What The Caligula Effect: Overdose does with its unique battle system and overwhelming character relation tree is establish itself not as a Persona clone, but as a standalone JRPG. What else may lie in wait for players? Read on to find out! The game starts with the protagonist meeting a character by the name of μ. She informs the player that they are in a paradise called the Mobius that she has made herself. The Mobius is said to be filled with the souls of the outcasts, losers and people who can not cope with the everyday life of the real world. As the player progresses, they are warped to their high school’s graduation day, where speeches from each year are presented. When the protagonist is asked to give their speech, they notice that some students begin to look fuzzy, like a scrambled TV show. It reminds me of trying to watch a movie on HBO back in the 90’s when the television was blocked out and just a scrambled mess. Getting back to the story, the main character quickly learns that the Mobius is a program that is set to repeat itself once the main character reaches a certain point in his/her virtual life. Some much-needed relief and guidance comes from the assistance of other classmates, who have also decided that they want to leave this so-called utopia of high school and return home to their real lives. The “Go Home Club,” as they like to be called, quickly brings the player in as an important member of the group within the first hour of the game. From there, the story quickly kicks into gear as the “Go Home Club” attempts to fight their way out of the virtual world and back to the real world. The Caligula Effect was previously released on the Playstation Vita to mixed reviews. This re-release fixes almost all of the issues that plagued the Vita version. Graphically, the characters look more detailed and the battle system frame rate does not stutter when battles intensify. Even with these graphical enhancements, The Caligula Effect: Overdose does still look dated when compared to some of the graphically better-looking JRPG re-releases on the Nintendo Switch. This is not to say that the cutscenes and dialogue scenes are not pretty to look at. As the player starts running around Mobius, they will notice the flat textures and very generic-looking character models. On the contrary, as with any good JRPG, the music is right on point, where Tsukasa Masuko shows his talents as top composer. Masuko’s use of mellow sounds during serious conversations/cutscenes seamlessly transition into hard distorted guitar riffs during intense battles, which was always a joy to listen to. 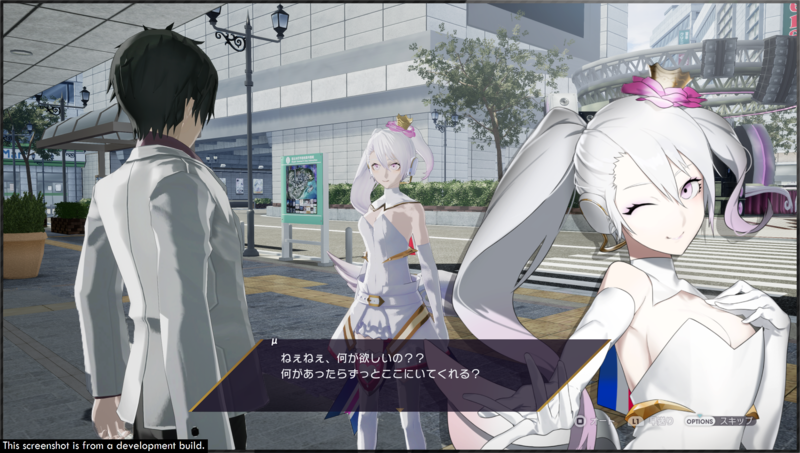 The two main attractions to The Caligula Effect: Overdose are the Causality Link and Imaginary Chain. The Causality Link is basically the player’s interactions and relationships with other characters in the Mobius. Each one of these characters is a soul that μ has taken from the real world and stuck in the Mobius. At a certain point in the game, the option opens up that allows the player to recruit these souls to their party. There are over 500 different students in the game that can be recruited and due to the abundance of characters that can be encountered, the player may find it hard to keep track of all of them. In fact, no one really stood out to me because the characters started to blend together after a while. The strongest element of the game has to be its battle system. When the player enters a battle, they have the ability to chain together three actions which all tie to the Imaginary Chain. As an action is selected, the screen plays out what could happen with real time results. Even with a great set up, not all attacks or actions will work as they could be blocked or dodged. This is where the battle system shines. In the top right of the screen, the player is able to adjust their actions and attacks on an enemy. The action that the player chooses is represented as a horizontal line, while the enemy actions and attacks are represented as a vertical line. These lines are one of the most important elements in the battle system as it helps differentiate The Caligula Effect: Overdose from other JRPGs. As the player adds members to their party, those new additions can coordinate actions and attacks that make for some great high-hitting combos. Rounding out this system is the stereotypical healer of the party that sticks to the back to take care of the other members. The entire battle system can understandably lead to such a variety of attacks and combos that are not only enjoyable to imagine, but also extremely satisfying when they are executed flawlessly. Review copy provided by NIS America.